Unexpected: Watermelon + Shrimp, maybe, but definitely delicious. This is a tried a true recipe from the White Dog Cafe in Philadelphia and Wayne. Sorry, no shrimp at the markets, maybe some day. Not sure what is the best shrimp to purchase - here is a great article with all of the pro's and con's. For me - Gulf Coast shrimp rule. 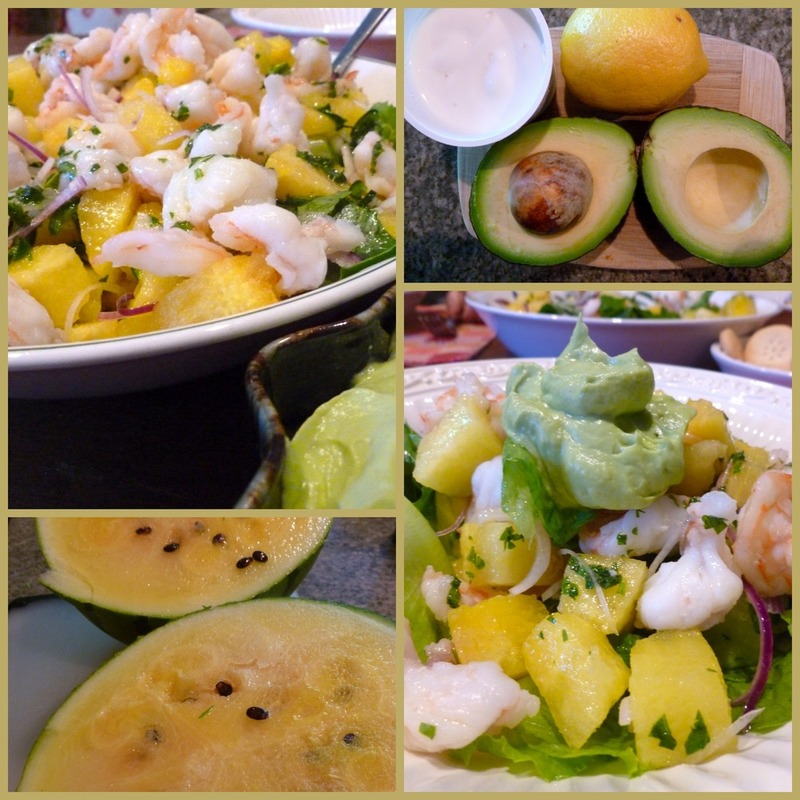 The Recipe: Watermelon and Shrimp Salad with Jalapeño Lime Dressing and Avocado Mousse. All of our produce farmers have been bringing beautiful watermelons to the market - I used one the the yellow watermelons available - so sweet. You'll also ned to pick up some crisp lettuce, mint, cilantro, jalapeño, and a red onion from the farmers market. The avocado mousse is simple to make - I like to use plain Greek yogurt to keep the calories in check. This is such a great light dinner salad - low in calories and packed full of flavor! Give it a try.